Wednesday afternoon, the energy shares climbed 1.7 percent. Meanwhile, top gainers in the sector included Northern Oil and Gas, Inc. (NYSE: NOG) up 10 percent, and Crescent Point Energy Corp. (NYSE: CPG) up 9 percent. Motif Bio plc (NASDAQ: MTFB) shares got a boost, shooting up 53 percent to $2.4601 after the FDA granted the company's request for a Type A meeting to discuss the complete response letter regarding iclaprim. Shares of Nevro Corp. (NYSE: NVRO) shot up 34 percent to $60.15 after the company announced it reached a management agreement with hedge fund Broadfin Capital. Nevro named D. Keith Grossman as President and CEO. Bank of America upgraded Nevro from Neutral to Buy, while BMO Capital upgraded the stock from Market Perform to Outperform. Electrameccanica Vehicles Corp. (NASDAQ: SOLO) shares were also up, gaining 28 percent to $4.39 after Benchmark initiated coverage on the stock with a Buy rating. Intellipharmaceutics International Inc. (NASDAQ: IPCI) shares dropped 12 percent to $0.2384 after Nasdaq notified the company that it will delist its shares. The company's shares will begin trading on the OTC exchange. 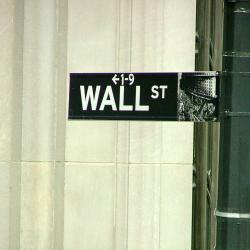 Shares of Phunware Inc. (NASDAQ: PHUN) were down 20 percent to $33.00. Phunware posted FY18 loss of $0.38 per share on sales of $30.9 million. Bio-Path Holdings, Inc. (NASDAQ: BPTH) was down, falling around 11 percent to $22.33 following Q4 results. European shares closed lower today. The eurozone’s STOXX 600 dropped 0.9 percent, the Spanish Ibex Index fell 0.91 percent, while Italy’s FTSE MIB Index fell 0.47 percent. Meanwhile the German DAX dropped 1.57 percent, and the French CAC 40 slipped 0.8 percent while U.K. shares fell 0.45 percent.